We were so excited to partner with the Houston Modern Quilt Guild and FreeSpirit for our first fabric challenge featuring the Florence fabric collection! 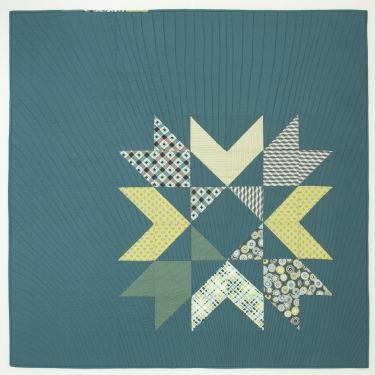 Becca Bryan's Tribute Star quilt was one of the first projects we received and after hearing about Becca's inspiration for this quilt, her grandmother Florence, we are thrilled to share her pattern here and her quilts inspiration here. The Tribute Star quilt is the perfect quick project to showcase the Florence fabric collection. A quilt and fabric collection inspired by strong, vibrant women–our own heroines.